Gangesa was born at Karion village on the banks of the river Kamala, 19 km south-east of Darbhanga in a Brahmin family. According to tradition, he was illiterate in his early years but later he acquired the knowledge of logic as a boon from the goddess Kali. His son Vardhamana Upadhyaya was also a noted philosopher of the Nyaya school. Beyond this, nothing else is known of his life. The founding text of Navya-Nyaya - it is divided into four khaṇḍas (books): Pratyakṣakhaṇḍa (book on perception), Anumānakhaṇḍa (book on inference), Upamānakhaṇḍa (book on comparison) and Śabdakhaṇḍa (book on verbal testimony). The first book opens with a salutation to Shiva. 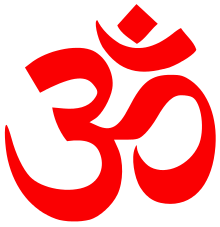 The Tattvacintāmaṇi (T.C.) is a systematic account of epistemology, logic, and the philosophy of grammar. Other subjects, such as the proofs of God, are treated incidentally. Gangesa refers to his own teachings as the New Nyaya. This term New Nyaya is not to be understood as implying any great originality in theory on Gangesa's part, but rather originality in method. His work differs from the oldest Nyaya in that he accepts many tenets of the Vaisesika school, and in his arrangement of Nyaya teachings under four headings rather than under the 16 subjects (padartha) of the Old Nyaya. The newness of Gangesa's method is newness of style and of organization. He is far more precise, more careful to define his terms, than were his predecessors. These virtues of his work are responsible for the fact that perhaps half of Navya-Nyaya literature is based either directly on the T.C. or on a commentary on the T.C. ↑ Vidyabhusana, Satis Chandra (1920). A History of Indian Logic: Ancient, Mediaeval and Modern Schools. Delhi: Motilal Banarsidass. pp. 405–6. ISBN 9788120805651. ↑ Vidyabhusana, Satis Chandra (1920). A History of Indian Logic: Ancient, Mediaeval and Modern Schools. Delhi: Motilal Banarsidass. p. 407. ISBN 9788120805651. ↑ Ingalls, Daniel Henry Holmes (1951). Materials for the Study of Navya-nyāya Logic. Delhi: Motilal Banarsidass. pp. 5–6. ISBN 9788120803848.